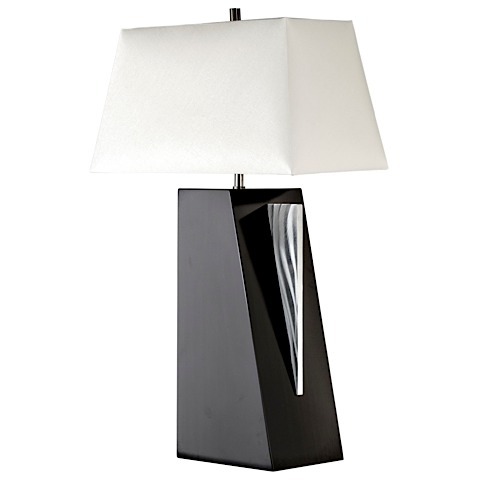 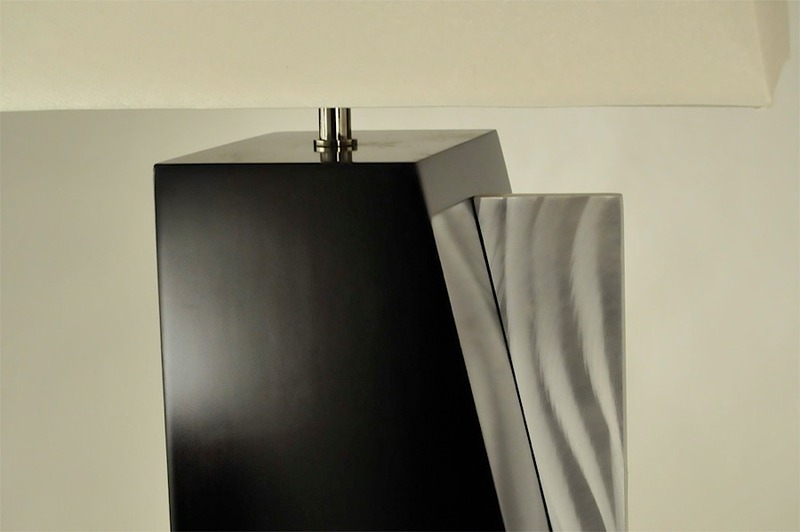 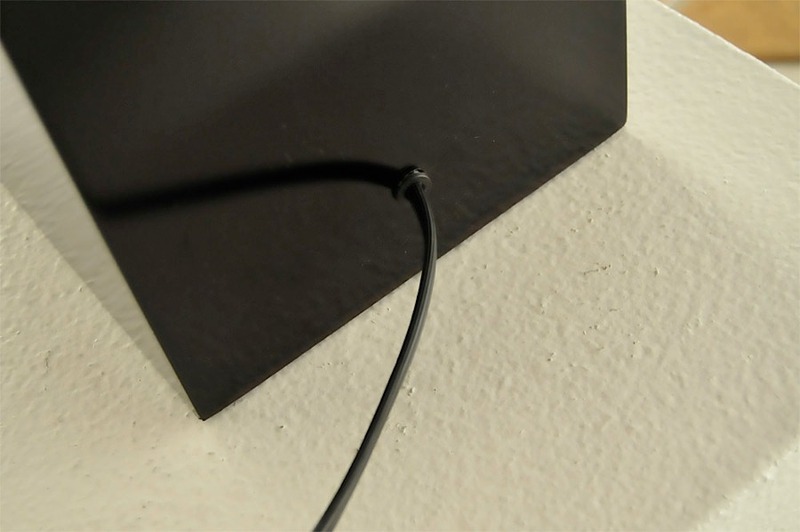 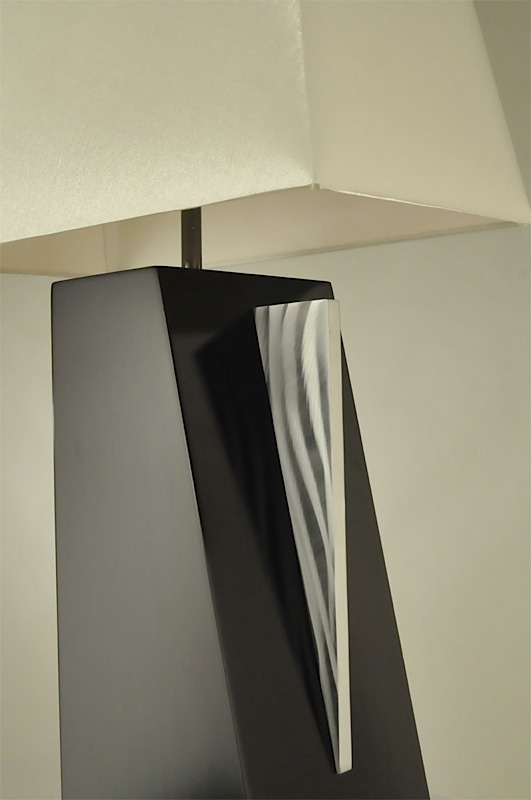 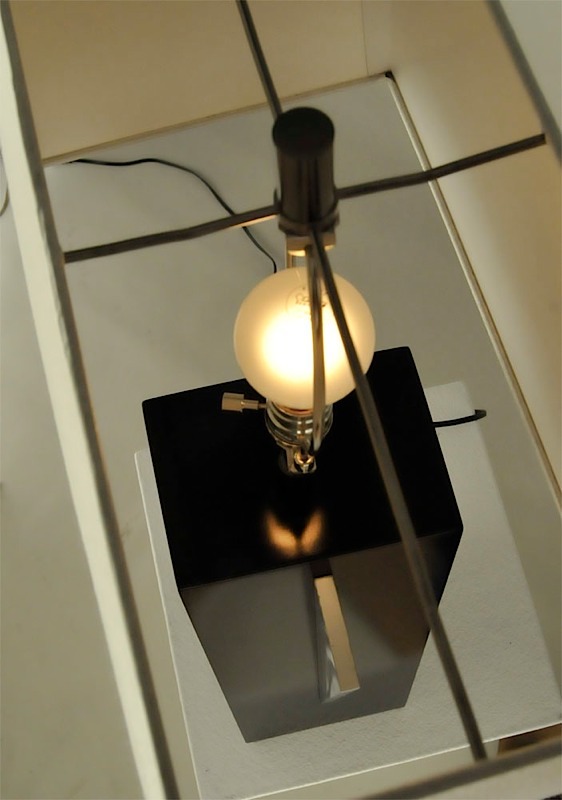 With an angled base and rectangular shade, the Edge Table Lamp is a contemporary blend of lighting design. 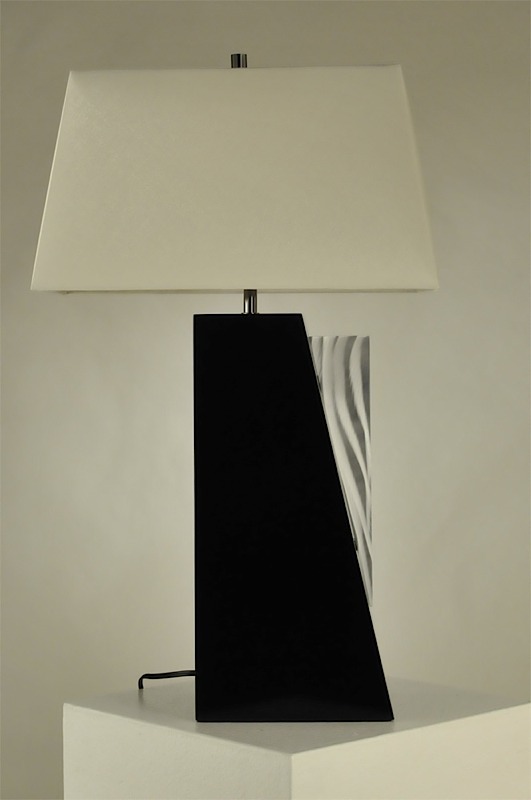 The espresso wooden base features a brushed steel accent "squaring" Edge's asymmetry, beneath a clean white fabric shade. The contrasting geometry and lines in the Edge Table Lamp make it a bold and unique accent for any room. 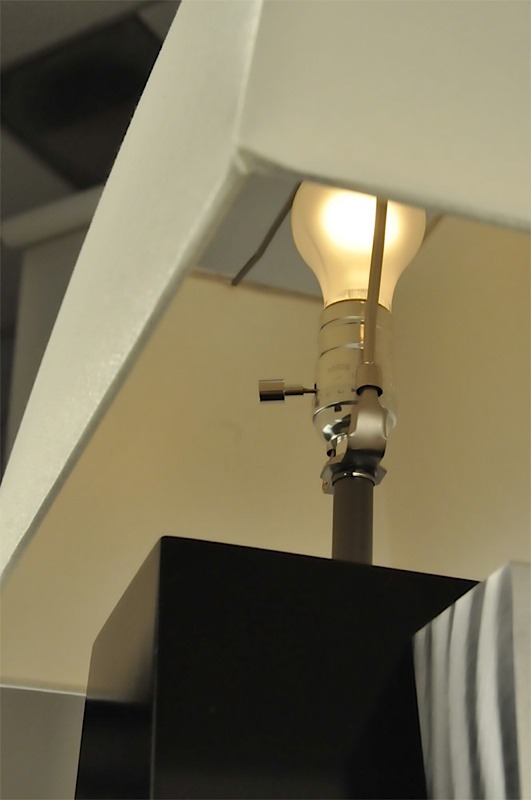 Requires one (1) standard E27 base bulb 100W max (not included).